Facebook has officially announced the launch of clickable Facebook hashtags in a bid to bring conversations on Facebook more to the forefront, making it easier for users to see the larger view of what's happening or what people are talking about. Similar to other services like Instagram, Twitter, Tumblr, or Pinterest, hashtags on Facebook allow you to add context to a post or indicate that it is part of a larger discussion. When you click on a hashtag in Facebook, you'll see a feed of what other people and Pages are saying about that event or topic. 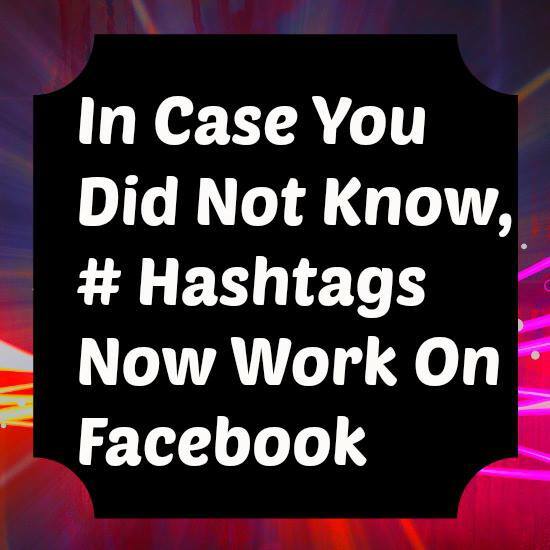 The hashtags can also be used informally to express context around a given message, with no intent to actually categorize the message for later searching, sharing, or other reasons. This can help express humor, excitement, sadness or other contextual cues, for example, "Just found out my dad is my Chemistry teacher. #awkward" or "Thank God, it's Friday!! #excited"
• Search for a specific hashtag from your search bar. For example, #BBATheChase. For instance, if you add #BBATheChase at the end of your status update, your friends that search for #BBATheChase, just to follow conversations about Big Brother Africa (The Chase) will see your update and probably join the conversation. If you search for #BBATheChase using the search bar on Facebook, you'll get a list of updates related to the TV show, thereby making it easier for you to discover what others are saying about the Big Brother Reality TV show and participate in the BBATheChase public conversations. What you won't get are updates that say "I am watching BBATheChase" because "BBATheChase" isn't preceded by the hash tag (#). 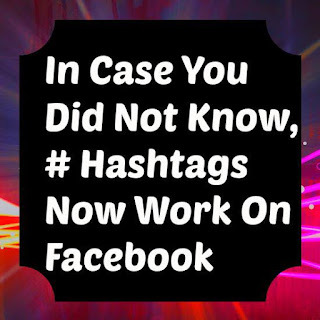 Remember, any combination of characters led by a pound sign (#) is a hashtag, and any hashtag, if promoted by enough Facebook users, can "trend" and attract more individual users to join conversations using the hashtag. Facebook promises to continue to roll out more features in the coming weeks and months, including trending hashtags and deeper insights, that help people discover more of the world's conversations.